So today on Coco's advent, I'm going to be talking about one of my idols. Being a singer/singing teacher for my big girl job means that throughout my life, much of my fashion influence (and obviously my musical influence) comes from some of the amazing artists we're lucky enough to have in the UK. One of those artists whose music and style I always loved was Amy Winehouse. For all she had her troubles, Back to Black and Frank are two of my favourite albums and I truly believe that there'll never be another artist like her, certainly not in my lifetime anyway. One of my deepest regrets is that I once had tickets to see her at a festival in Manchester, and thinking she'd be on later in the set, we stayed in Manchester and missed her performance. Sadly now, I'll never get that chance again. So whilst we were in London, we decided to visit Camden market in search of Amy and we had so much fun! 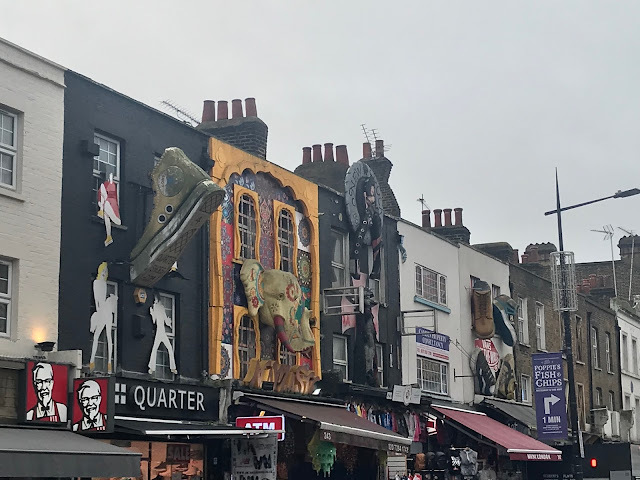 If you've never visited Camden, its super arty and cool. 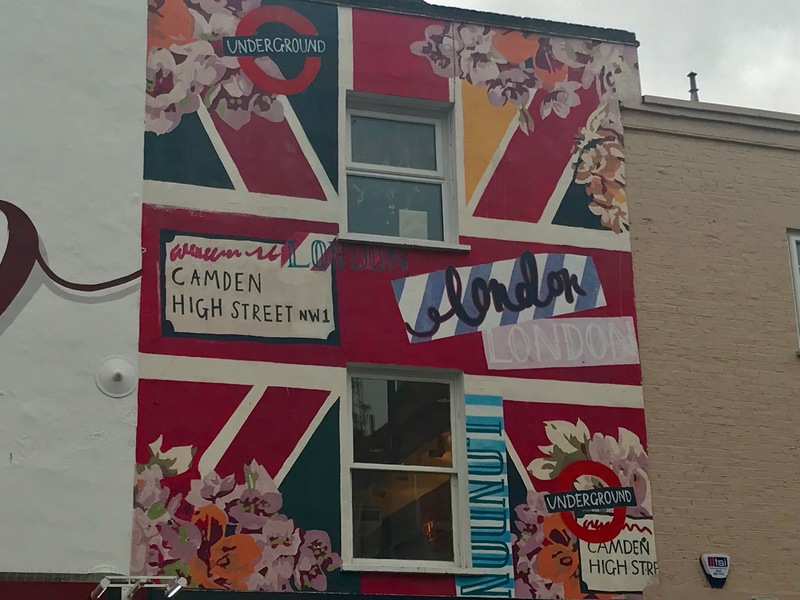 The shop fronts are literally coming out to meet you! The whole place is like one big market, selling the best in vintage goods and the work of talented artisans at one end of the spectrum, to touristy tat and fake designer goods at the other; it's so eclectic, I absolutely love it! 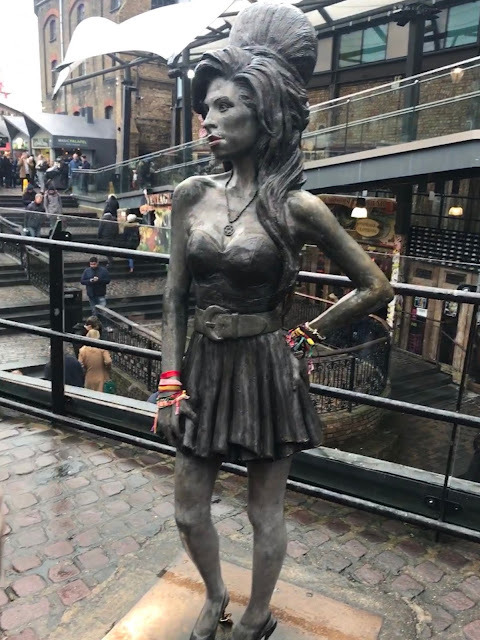 Slap bang in the middle of the market at Camden Lock, stands a life-size statue of Amy. 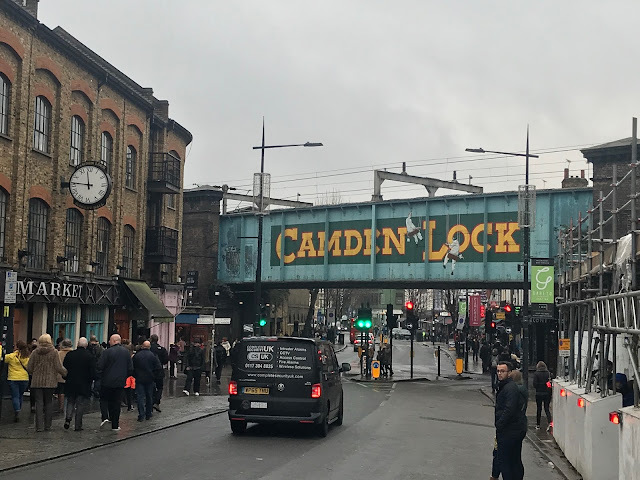 I knew it was somewhere in Camden, but we seemed to just stumble across her! Standing next to her, I'd guess she was about my height (if you take away her heels and massive bouffant!) but much, much teenier. 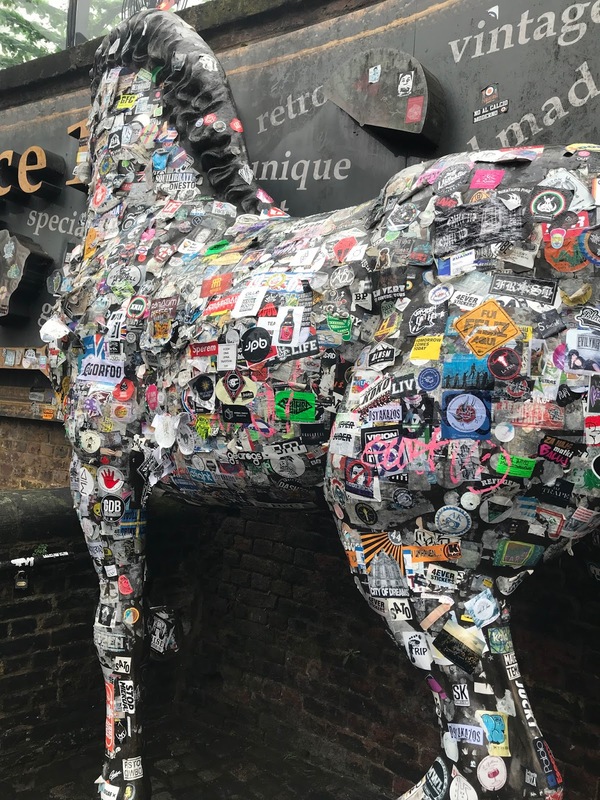 Adorned with festival bracelets, it's clear to see just how much she is still loved. 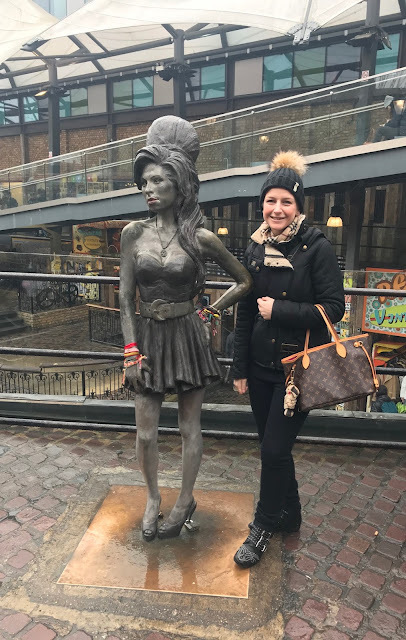 I think if Amy could have picked anywhere to be, slap bang in the middle of Camden Market would be where she would've chosen, Camden being such an amazing and integral part of her life (she once worked in Camden market and lived in Camden later in her life and was found there when she sadly died). I know I never got to meet Amy or see her live, but she'll always be a huge musical influence to me and will forever be in my heart. So the next time you're in London, make sure to add Camden to your list of places to visit, you definitely won't regret it and you never know, you might even pick up a bargain!